Never be late for a very important date. 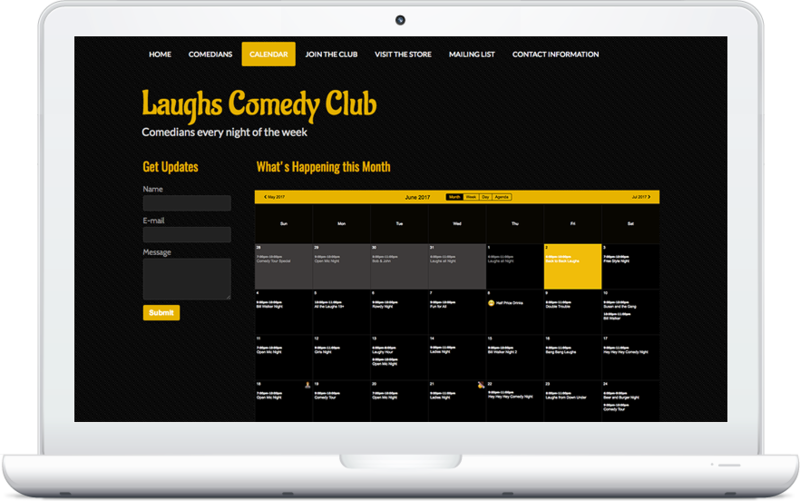 Use the Online Calendar to keep track of all upcoming events and tasks, and allow others to share events too. Create your Calendar for FREE! 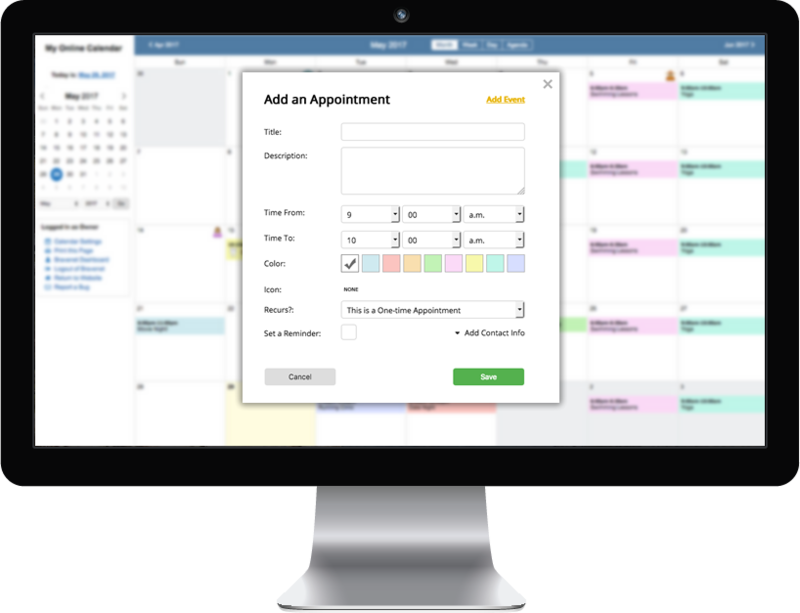 Use Month, Week, Day and Agenda Views to prioritize your appointments quickly and easily. No paper calendar required! 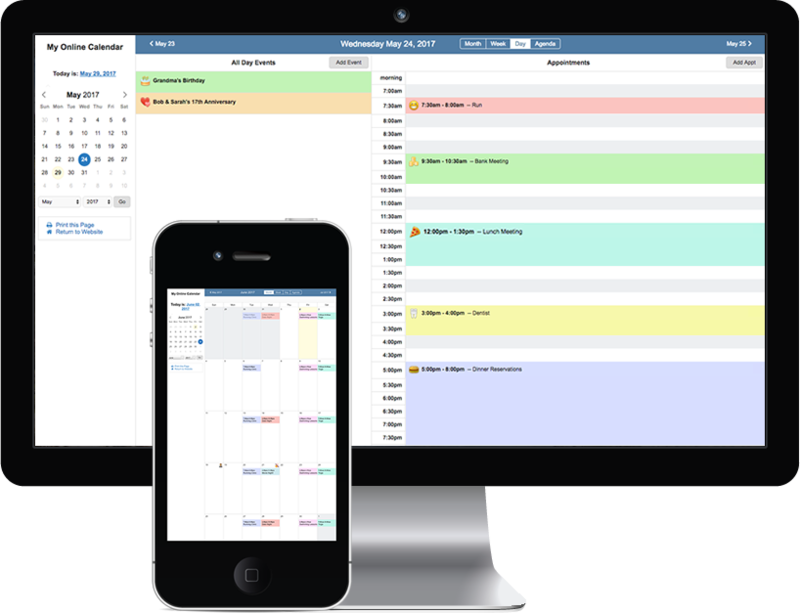 Be prepared - stay on top of meetings, appointments, and special occasions. 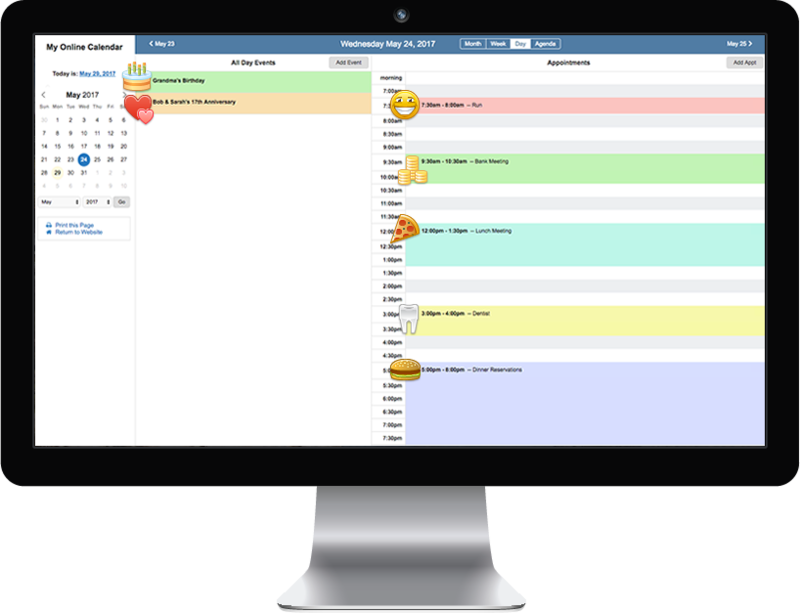 Add icons and color code your events to keep track of what is coming up at a quick glance. Improve the success of your events. 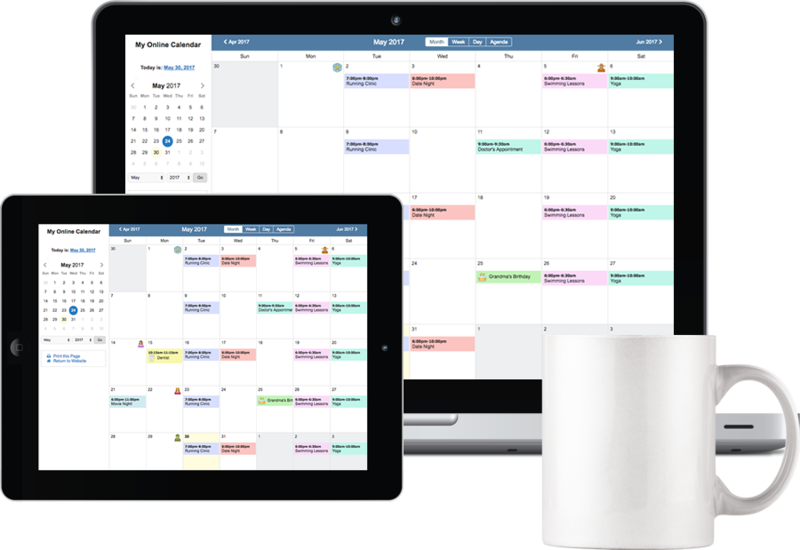 Let people access your calendar, sign up for reminders and create events and appointments in your calendar. Have your calendar open to the public or protect it with a password. Need to print your monthly calendar? No problem! Print any page at any time. 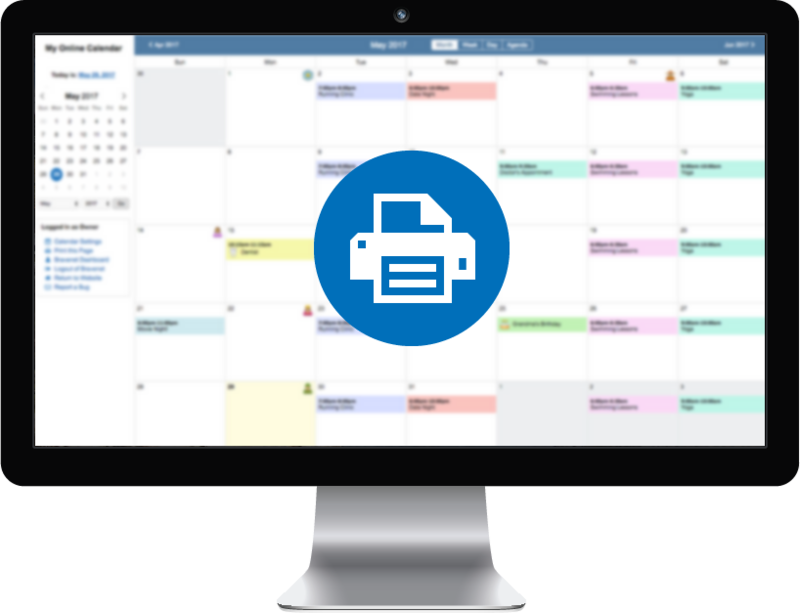 All calendar views have been configured to print seamlessly. 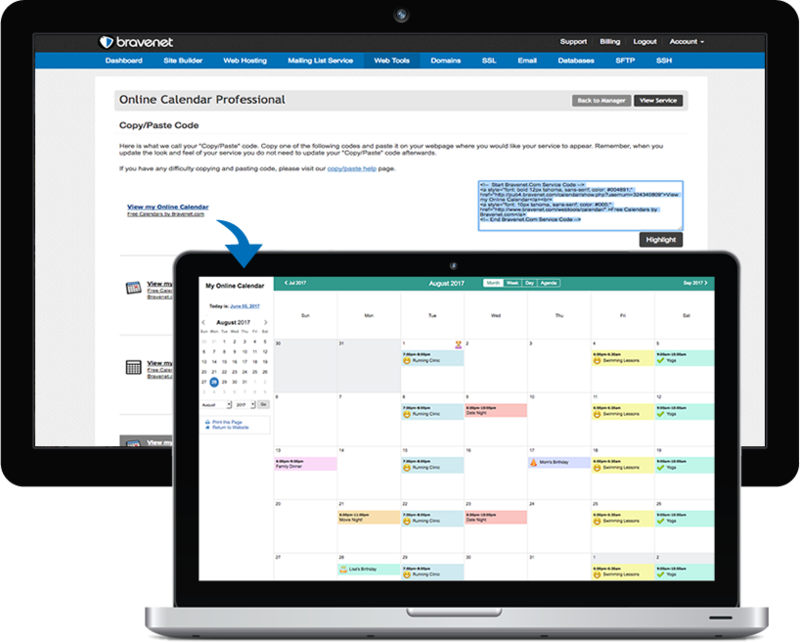 Customize the Online Calendar Service to match and enhance the theme of your website. Preview and choose the best fit for you! 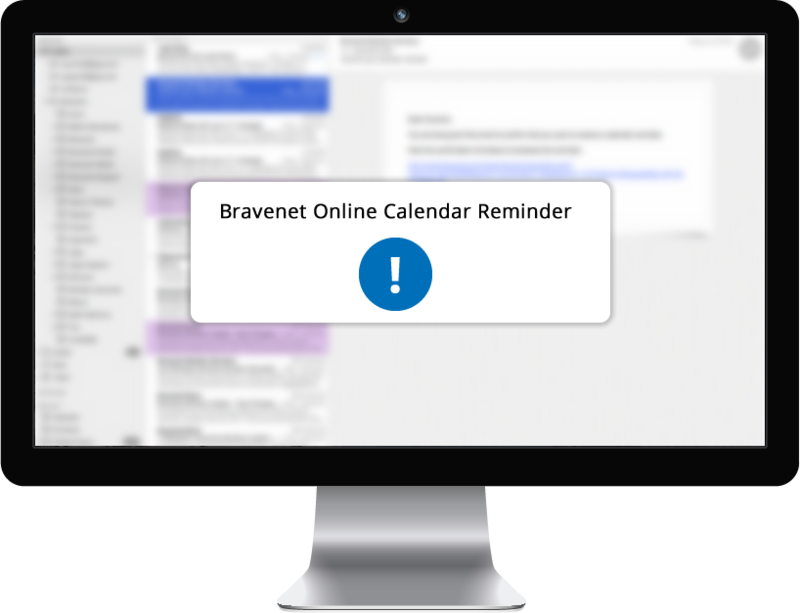 Never forget important dates again with email reminders for you and your guests. Schedule reminders for everything – grocery lists, anniversaries, birthdays and work projects. Just register the service, copy the code onto your webpage, and begin using your service. No need to download or register an extra app. with the password or only you. paper copies are very clear. And never be late for your very important dates. Build a Calendar. It's FREE!